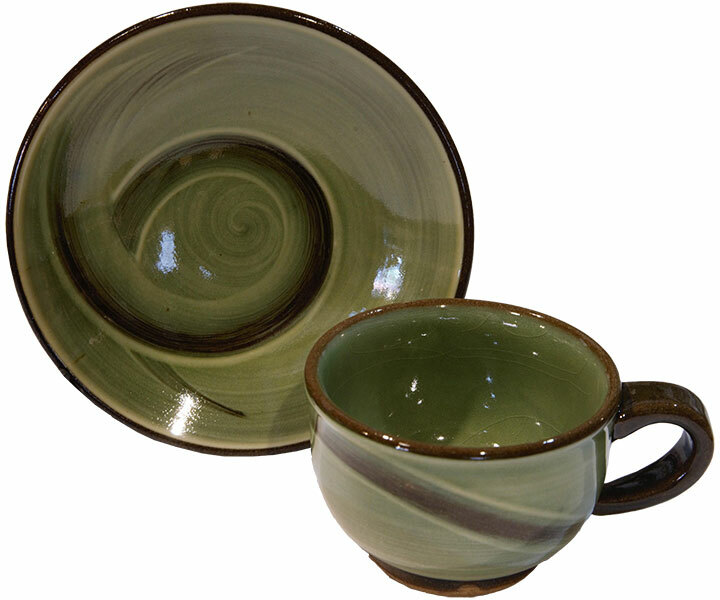 such as Koishiwara pottery and Takatori pottery. which makes your every day slightly happy. 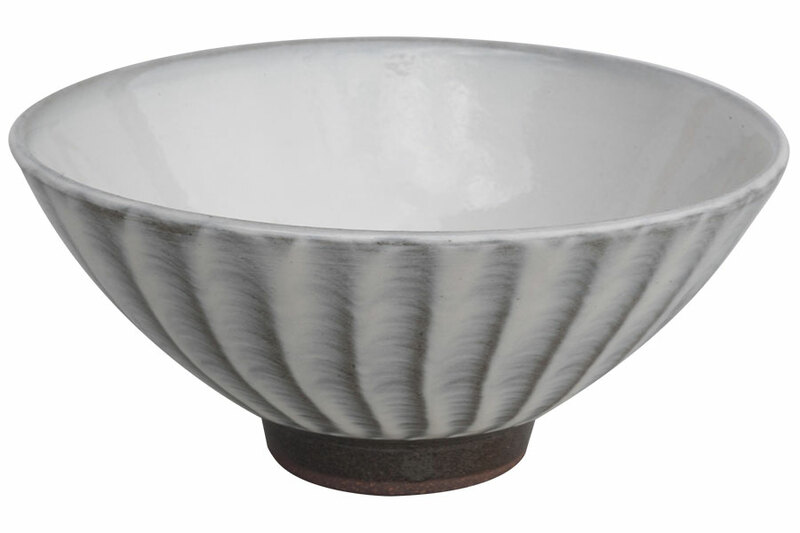 Koishihara pottery which established practicality and beauty while following the way as a life offering dish. A simple and warm characteristic is taken out tobikanna,hakeme,kushime,yubikaki,nagashikake,uchikake, passes almost and techniques, such as suspension, are valid. 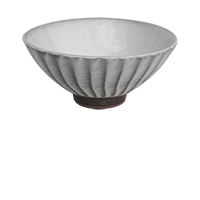 Inheriting the work of such a tradition carefully, many pottery wished development of Koishihara pottery, and aims at establishment of a still newer style. 1682 years, Kuroda 3 feudal lord-Mitsuyuki is Hizen-Imari led potters told the Chinese-style porcelain, already be to interact with there was Takatori Pottery in Koishiwara, Koishiwara pottery is formed year. 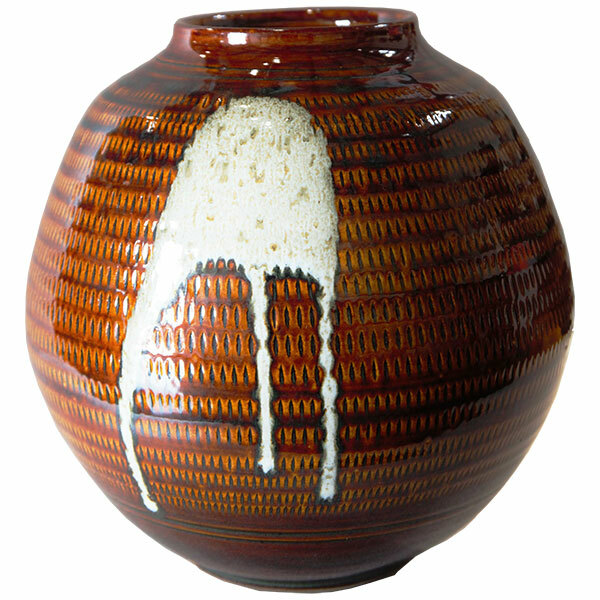 Until around the beginning of the Taisho-Showa, but was making such as jars, bowls, dishes, mortar of large by using a co-kiln, co-kiln by Folk art pottery boom has arrived disappear, individual pottery has been increased.Then, the production of a vessel of the life used in a life activated. 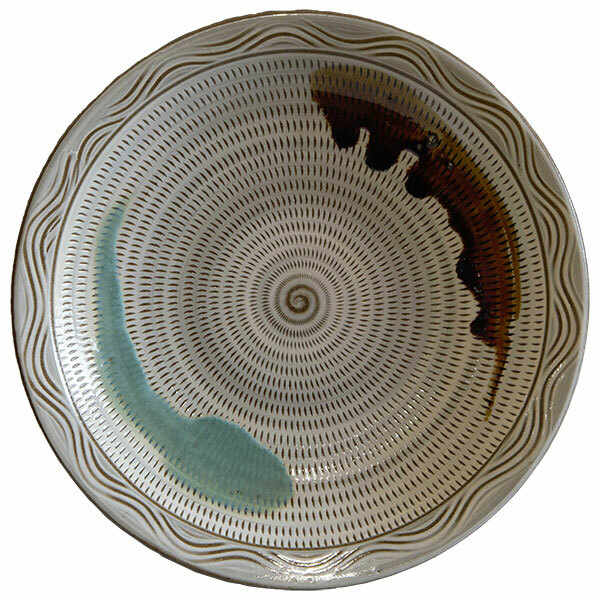 he Grand Prix award by the expo Japan Pavilion part III exhibition opened in Brussels in 1958 and establishment of the Japanese technical hall Koishiwara branch firm (the present Koishiwara crafts museum) in 1961 also spurred development of Koishihara pottery. 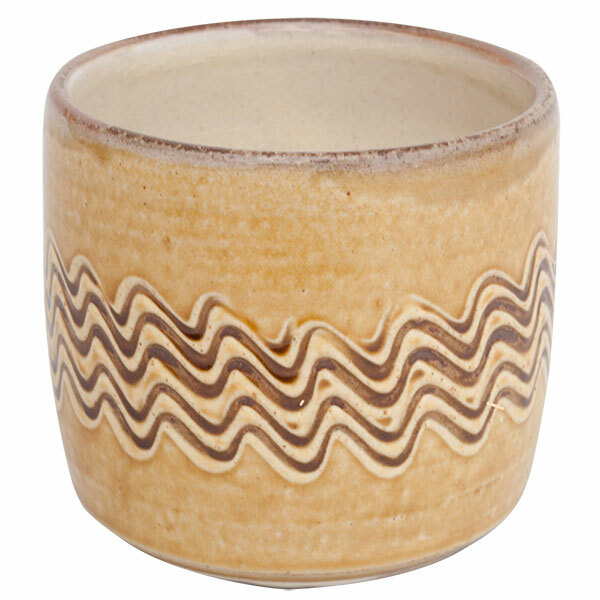 And with pottery, it was specified as the traditional handicraft which becomes the first in Japan in 1975. 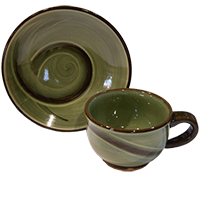 The vessel to which the engobe was applied is put on a potter's wheel, and the canna curved on the surface of the work is applied, making it rotate. Only the place where canna hit is deleted and a pattern is produced. 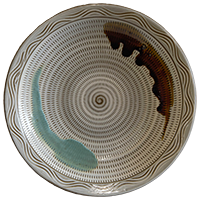 An engobe is applied, the brush is applied immediately, rotating a potter's wheel, and a pattern is given. A tip gives patterns, such as a wavelike line, with the tool of the shape of a comb parted to a large number immediately, applying an engobe. 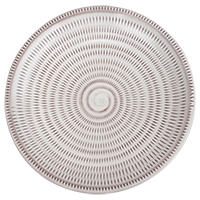 A pattern is given with a finger, rotating [ apply an engobe, and ] a potter's wheel, before getting dry. 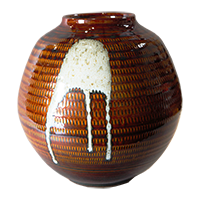 It is the technique which puts glaze into a vessel, and is almost exposed little by little to it in the fabricated work. 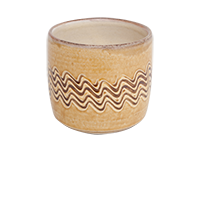 The Toho village has a few households pottery to inherit the technique of Takatori pottery, communicate the style of "Enshu Takatori" right now, we are developing the world of "Kireisabi"(The spirit of "wabi-sabi", added beauty, brightness, the richness). 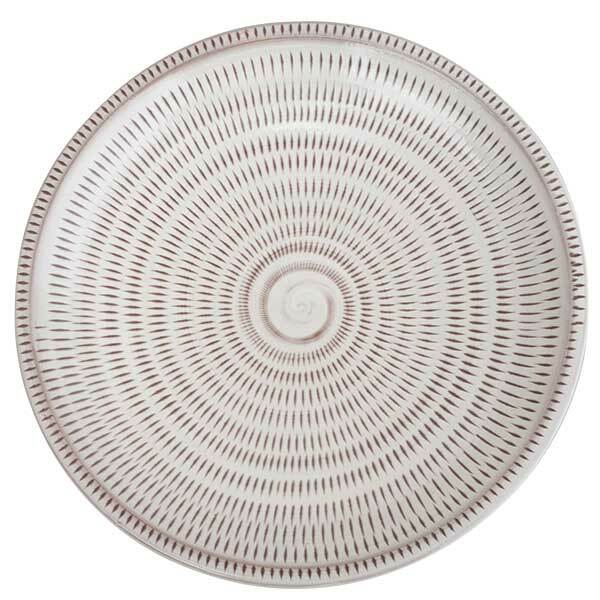 In particular, the iron, straw ash, wood ash, feldspar as a raw material, tea pottery class, which is fired by making full use a glaze made with subtle blending are full of grace. The Korean campaigns (Korean invasions in 1592 and 1597) covering 2 times of Hideyoshi Toyotomi -- the west country -- daimyos were accompanied by many Korean potters, returned, and made every place open the kiln of pottery. Fukuoka lord Nagamasa Kuroda also one of them, was not built a potter Yayama (Japan name, Takatori Hachizo) to Nogata Takatoriyama kiln to Rei is the beginning of Takatori pottery. Then, in Nogata-Uchigaiso in 1614 , in Yamada City and Tojin valley in 1624, in Iizuka City, Shirahatasan (now Iizuka Kobukuro ) to move the kiln in 1630 . Master-of-the-tea-ceremony Enshu Kobori's instruction is received, and the "Takatori Enshu" style is completed mostly these days. Hachizo died in this area, the second generation Hachizo began a pottery in Koishiwara Tsudumikamadoko 1665. While moving to Sawara-gun Tajima at the 1688-1704, Hachizou worked, while attending the office from Tsuzumi. Then the Meiji Restoration until the Takatori family has served the duties of generations Fukuoka clan pottery president.